PR machines and media companies work overtime doing damage control during a crisis. No matter how strong a brand may be; it can turn into a real cesspool when things go wrong. Everything you’ve been so careful to build around your brand: down the drain. Nobody was surprised to hear that BP suffered considerable damages after the oil spill in the Gulf of Mexico a few years ago. American Geological Institute records show that something like 40.000 barrels a day were leaking oil. The British oil company had been under enormous pressure since the beginning of the disaster. No less than 10,000 American gas pump retailers turned against BP: they wanted to get rid of the yellow and green BP logo because it prompted vandalism and was bad for business. Even president Obama wasn’t spared from the criticism when people started attacking the government for not doing their part. Greenpeace started up a competition for designers to come up with a new logo that showcased the company’s true nature. The competition was a great success amongst professional and amateur designers alike. An error in production, a disaster, a bad decision: it can really harm your brand. And even though BP stated it would compensate for all the damages, the company’s reputation has more than likely been damaged beyond repair. Type in ‘I hate BP’ on Google. The result is an astounding 233,000 hits. Type the same thing for Union Carbide, the company that killed 50,000 people 25 years ago when an enormous toxic cloud was released in an Indian pest control factory: only 77 hits remain. Does time heal all pain? People, but brands in particular, can really suffer from hate campaigns. We used to hate Shell for doing business during the apartheid regime in South Africa, and we felt the same way about Nike and H&M for exploiting their workers in developing countries. But that kind of hate was occasional and fuelled by interest groups, which lead to some (manageable) brand damage. 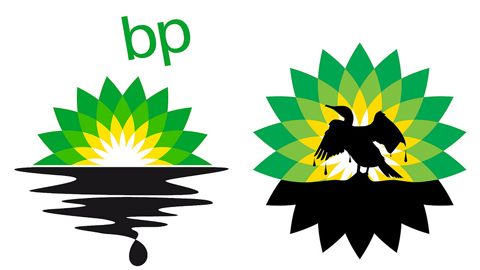 But it’s incomparable to what BP faced: this brand crisis destroyed BP. So did we just hate BP more? Not specifically. The emotional hangover after the financial crisis stirred these feelings in us, a Financial Times journalist wrote. Also, hating on the Internet is much easier. Start up an ‘I Hate BP’ group? Done. Post negative publicity on YouTube, Twitter, Netlog? It took mere moments to go global. How do you counter this as a brand? Honesty is the best policy, even in the brand universe. For the past ten years, companies like Microsoft have invested a lot in image campaigns. Corporate and social responsibility, the green revolution, having certain values and norms: these policies receive the most heat when things go off the deep end. You have to remain accountable as a brand. A reputation begins with a strong brand. The foundations need to be strong and show no cracks, even when the economy is bad. 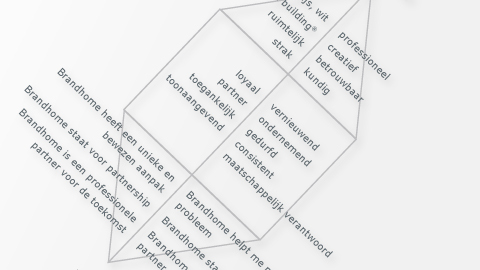 How do you build a strong brand? By defining your vision, mission and ambitions from the get-go. By carefully crafting an identity, highlighting personality of your brand. Do you need a blueprint of your brand, one that can support a strong plan of communication? Try the Brandhome method and rule out as many surprises as you can.